Team sports teach students to collaborate with other people, which is a crucial skill for any job position. Almost any workplace requires to work and communicate with other employees in order to reach the same goals. Mentioning it in your resume will surely be an advantage for you. Besides, being a competitive activity, sports teach students to win, to lose, and learn from their own mistakes. You can say or write something like: “Playing for the campus’ volleyball team taught me to collaborate with other people in order to reach the common goals or achievements”. Acting or any theatre-related activities are worth mentioning no matter what position you are looking for. Employers value it as, usually, students who have participated in plays are good at giving public speeches. This skill will be extremely necessary if you are aiming at positions where applicants are required to participate in conferences or presentations, mentioning your acting experience while connecting it to the ability of comfortable speaking before any audience might be a big advantage for you. “My experience in acting at a college theater during the student years helped me to achieve good public speaking skills and the ability to capture the audience’s attention while presenting my thoughts and ideas”. 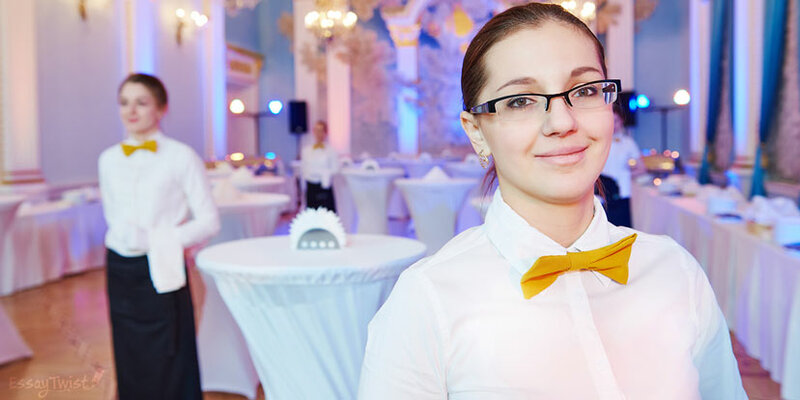 At first, it may seem insufficient to mention that you worked as a waitress while applying for a job in a completely different sphere, but any part-time job working experience will show your potential employer that you are an independent and self-supporting person. Besides, it will mean you are capable of talking to people in a business manner and it’s very important for almost every position. Be honest and creative and you will be able to pull a lot of useful skills from every position you have tried yourself in before! “My experience working as a waitress at a local café allowed me to learn how to communicate with other people in a polite and official manner and how to handle different problematic situations quickly, efficiently, and without losing my control”. No matter how big or small organization you were a part of was, even if it consisted of a couple of people only, it’s still worth mentioning while applying for any job. That will not only show your potential employer that you are capable of managing a group of people and organizing any types of activities, but that you were trusted among the people who have chosen you as their leader. “Being a president of our student’s organization Math Gurus, I have achieved leadership skills which helped me to maintain the good relationships with other people in our club”. Rated 4.5 | 303 votes.